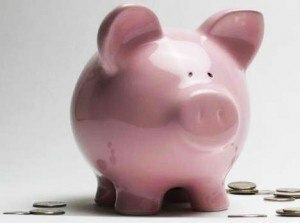 One of the tenets of associated with many of those interested in frugality is that you must save money at all costs. The idea of cutting costs and saving money is paramount, and that means that many will do whatever it takes to save a few bucks. Penny pinching isn’t always the best course, especially if it costs more — in terms of time and effort — than you end up with. Sometimes, saving the money isn’t worth the effort. It seems like whenever something is advertised as “free” people need to line up for it. A free small ice cream cone. A free chicken sandwich. All you have to do is line up for it. While it might be free in strict money terms, it might not be free in other ways. Indeed, some of these promotions centered around giving away free stuff mean hours of standing in line, waiting for your turn. What could you be doing with those hours? Consider your hourly pay. If you make $15 an hour, but you stand in line for one hour to get a “free” ice cream cone that normally costs $1.29, are you really coming out ahead? Even if you only stand in line for 15 minutes, that’s still $3.75 in terms of what you could have been making. And don’t forget the other costs: Did you drive out of your way — spending money on gas — to get to the ice cream shop? Did you buy something else while you were in the shop, in addition to your “free” ice cream? Also, don’t discount the effort put in. How much work did you have to do in order to get that freebie? Did you have to look for a special coupon online? Did you have to sign up for an account on a special web site? Were there other steps to be taken? In a lot of cases, freebies require some sort of effort if you want it to pay out. Whether you print out a coupon, spend two hours scouring the web for just the right coupons and free samples, or whether you stand in line for an hour, your effort can render the minuscule savings completely not worth it. I’m not opposed to couponing; I just don’t think it’s worth my time. While I will occasionally take the time to look online for a discount, once the search starts taking a significant chunk of my time (more than 10 minutes), I’m done. When I’m watching TV or a movie, I don’t want to be clipping coupons — I want to be relaxing. I don’t want to drag my son to several stores to save $10. I’d rather go to one store, get our errands done, and then go home and play catch. Sometimes, saving money is worth the effort. When you can save $300 a month on your mortgage payment, it’s worth the time it takes to refinance. I spent about two hours of time choosing a high deductible health plan (I’m American), and going through the process of opening a Health Savings Account. But that saves me $300 a month as well. That trade off is worth it to me, because I did it once, and I don’t have to do it week after week, as I would have to do with couponing. In the end, it’s up to you to decide whether the savings are worth the time and effort you put into getting them. Consider what makes your life worthwhile, and how much time you are spending to save money. Could that time be better used to make more money? Enjoy your family? Improve your health? Sometimes, what you save isn’t worth what it costs. Sometimes free things are worth the adventure. I remember in high school my friends and I drove for hours when the new Krispie Creme opened up. Now a days, I’m not sure I would do it. They’ll stand in line for 30 minutes to get free ice cream but won’t spend 30 minutes cleaning a closet, basement, attic and donating to charity for a much better return. Or, selling unwanted items through eBay or a yard sale. It’s a often overlooked way to save money on taxes, get a handle on how much waste you have in your home and most importantly, change your ways on spending on stuff you don’t need. Certain types of saving may not be a good idea for everyone, but everyone should at least use one form of savings. It is important that you have something to fall back on in case of an emergency, and lets face it..a lot of people don’t. In some cases people budget their money very well but that is also a form of savings. For others it isn’t as easy and other measures need to be taken..have a jar for change, and always break dollar bills, or maybe coupons work for you, but either way you need to do something to remain financially safe. Great tips. Don’t be penny wise and pound foolish and also, as Robert Greene says, avoid the free lunch since like you mentioned, what is offered for “free” often comes with many different hidden costs.